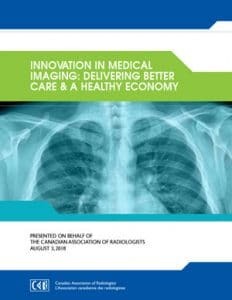 The Canadian Association of Radiologists (CAR) is very pleased with the House of Commons Standing Committee on Finance’s recommendation to invest in medical imaging equipment in Northern communities to help eradicate Tuberculosis (TB). This is a positive step forward in ensuring improved access to imaging technologies to help with early diagnosis and detection of disease. The CAR attributes this recommendation to discussions with government and a strong evidence-based pre-budget submission involving multiple stakeholders. Coinciding with the Pre-Budget Consultation Report, the Inuit Tapiriit Kanatami (ITK) published their Tuberculosis Elimination Framework. The CAR applauds ITK for their work on the Inuit Tuberculosis Elimination Framework. “This is a very well thought out plan, which recognizes the regional difference in access to quality care and the resources that are required to help address the spread of TB in the North” says Dr. Emil Lee, CAR President. Tuberculosis is a preventable and curable bacterial infection that can be fatal if left untreated. Government figures show that the incidence of tuberculosis among all Canadians in 2016 was 4.8 cases per 100,000 people, while for Inuit living anywhere in Canada it was slightly more than 170 cases per 100,000 people. Earlier this year, the CAR submitted pre-budget recommendations to the Federal government. These included an investment of $3 million for medical imaging equipment to facilitate with the Indigenous Services Minister, Jane Philpott’s plan to reduce active tuberculosis in the North by half within the next seven years. “We were very encouraged to see that the Standing Committee on Finance recognizes the importance of medical imaging in helping to eradicate TB in Northern communities and we are optimistic that the Finance Minister will act on this recommendation in the 2019 budget”, says Lee. Investing in imaging equipment in Northern communities can help address the TB public health crisis. Modernizing imaging equipment, implementing innovative technologies and enhancing access to care in Inuit communities will radically improve the ability to diagnose TD. Treating patients earlier and more effectively will improve health outcomes for Canadians. Over the course of 2018, the CAR was fortunate to have had the opportunity to meet with the Inuit Service Health Branch as well as ITK on several occasions. The CAR was encouraged that there was a genuine interest from these groups to collaborate with radiologists regarding their proposed solution to reduce the instance of TB in the North. “We were very pleased to see that a focus on imaging technologies and infrastructure is included in the plan as a top priority in enhancing care”, says Dr. Lee. “The Standing Committee on Finance’s recommendation to improve access to high-quality and emerging diagnostic tools including digital radiology, supported by adequate infrastructure and laboratory services, and appropriate health human resources will be critical to our success in addressing this public health crisis”, added Lee. The CAR recognizes that the solution to eradicating TB will rely on more than medical imaging technology. The broader solution will involve a shared focus on infrastructure, digital bandwidth, education and health human resources. The CAR will continue to offer support in a subject matter expert capacity with ITK and Inuit governments to help implement Inuit TB Elimination Framework and offer expertise in radiology pertaining to patient care, technology and education. On August 3, the CAR submitted its brief to the House of Commons Standing Committee on Finance as part of its pre-budget consultation process. The report is intended to inform and influence the federal government as it prepares its budget and considers its spending priorities. The Committee asked which federal measures will help foster the growth of the Canadian economy. Investment in the healthcare system is a key component of increasing productivity. 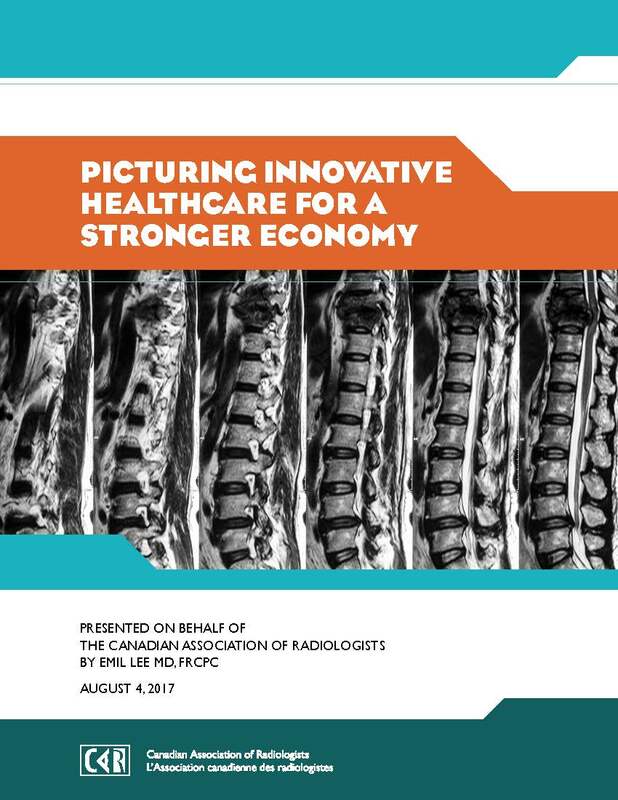 Maintaining a healthy work force and investing in innovative technologies are necessitates for a resilient healthcare system that meets the needs of Canadians, which makes healthcare an essential component of lasting economic growth. Invest $10.5 million over three years through the Strategic Innovation Fund, sponsored by Innovation, Science and Economic Development Canada to begin establishing federal frameworks to regulate the implementation of AI tools in medicine and healthcare. The Pre-Budget Submission is an example of the advocacy and government relations work that the CAR is conducting on behalf of our members. Interested in meeting your MP? The CAR will be offering support and materials for members who would like to contact their local Member of Parliament to increase awareness of these and other issues. For more information, please contact Natalie St-Pierre, Director, Marketing and Communications at nst-pierre@car.ca or 613-860-3111 ext. 240.